Elizabeth Gaskell, the novelist, was born 200 years ago today, on 29th September 1810. The huge success of the BBC’s version of Cranford (which added several of her other short stories to the adaptation) and, a few years before that, a high-quality version of North and South, have made her name a familiar one to a modern audience. For many years, however, she seemed destined to be treated as a footnote to other people’s stories. For much of the nineteenth and early twentieth centuries, she was known as a novelist basically for Cranford: for all its charm, this is perhaps one of her minor works and certainly made it possible to see her as a milder, more demure figure than the reality. 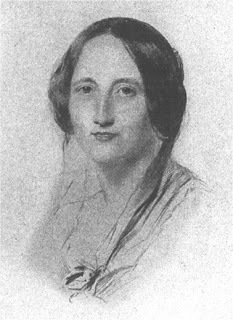 In addition, as feminist critics rightly pointed out, the tendency during this time to refer to her as “Mrs Gaskell”, without a forename, tended to reduce her individuality (it also made it hard to distinguish her from similarly-named lesser writers such as Mrs Oliphant or Mrs Humphrey Ward). During her years of neglect, the other one of her works to enjoy continued currency was her biography of Charlotte Brontë: again, this gave her prominence but only as the friend and biographer of Brontë (whose biography, being first in the field, would often be attacked ritually by anyone seeking to justify the need for their own subsequent work). From the 1950s onwards, her novels exploring the social consequences of the industrialisation she saw around her in Manchester – Mary Barton and North and South – were given more and more prominence, but again at the cost of lumping her into a literary-historical moment, treating these works as part of a collective whole called “The Condition of England novel”, in which Gaskell, Kingsley, Disraeli and others formed a rather undifferentiated supporting cast to Dickens’ Hard Times. It has taken the determined rediscovery and re-excavation of women’s writing from the 1970s and 1980s onwards to bring her to prominence on her own merits as an accomplished and varied writer: not as someone else’s wife or biographer, or a bit-part player in literary history, but as Elizabeth Cleghorn Gaskell (née Stephenson), novelist. We might not think of her instantly as a writer who explores medical themes (although anyone who saw the TV adaptation of Cranford will have vivid memories, maybe too vivid, of Philip Glennister as Mr Carter having a leg amputated without anaesthetic). 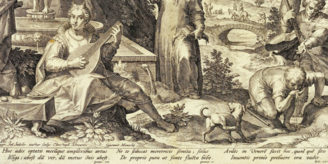 However – as any visitor to the Wellcome Library can vouch – what is “medical” can be defined very broadly, and many broad social or scientific issues turn out to be grist to the medical-historical mill. The industrial revolution involved huge social and scientific changes, very many of which had medical implications, and Gaskell’s works demonstrate a vivid eye for this changing world around her. Science and industry impinge on her novels frequently, even in those not explicitly to do with “the condition of England”: the rural idyll of Cranford, for example, is invaded by the newly-invented railway, and in her last novel Wives and Daughters the central male character, Roger Hamley, is a naturalist whose commitment to scientific rigour and clarity mirrors his personal qualities of honesty and uprightness. 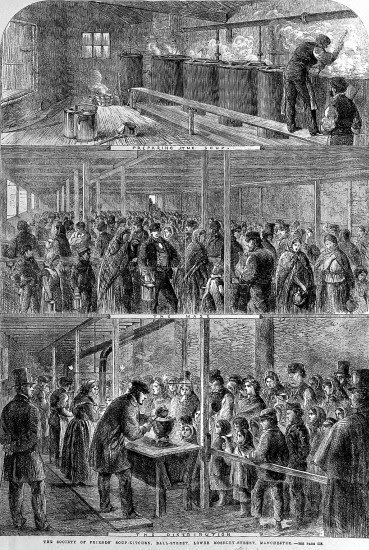 Most notably, of course, it is in those novels that explore the social consequences of industrialisation, and take the reader into the same Manchester slums that Engels described, that the public-health consequences of the Industrial Revolution are all around us, the ill-lit and ill-drained slums where the poor sleep surrounded by filth. The presentation of Gaskell as a meek, dove-like figure whose works were limited to a female world of charm and manners, which predominated in the early twentieth century, is a long way from the truth. 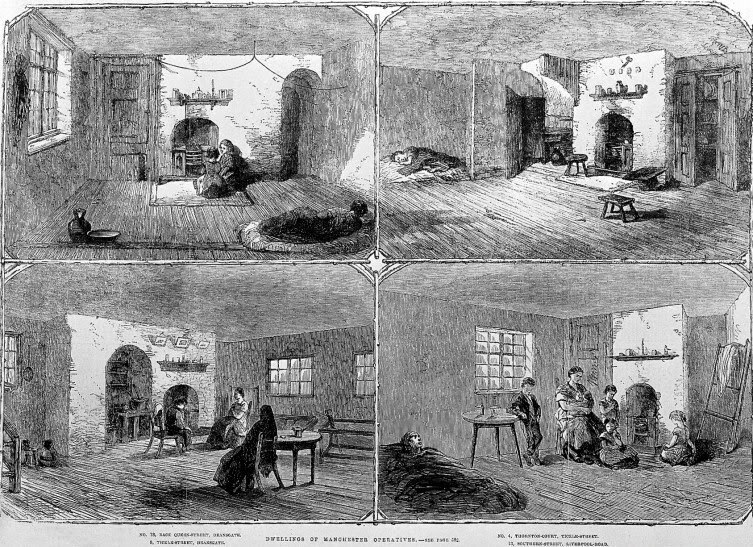 It is a suggestive vignette, pointing us in various directions: demonstrating Gaskell’s interest in medical issues and a willingness to think beyond the box of orthodoxy in looking at therapies, opening discussions on male practitioners’ treatment of the female body and of women’s illness, echoing modern concerns about medical invasiveness versus palliative care for the terminally ill. The letter is discussed in detail in an article in Medical History (Christopher Hilton, “Elizabeth Gaskell and Mesmerism: An Unpublished Letter”, Medical History, 1995, 39: 219-235), published not long after the Library acquired it; the article – including a transcript of the letter – is freely available here. Although it is our only Elizabeth Gaskell item, it fully earns its place in our holdings: it links to all sorts of issues discussed elsewhere in the collection and demonstrates another way in which this intelligent, aware woman engaged with the changing world around her. Two hundred years on from her birth, we salute her: Elizabeth Gaskell, nobody’s footnote. 1/ Elizabeth Gaskell, c.1851, from Wikimedia Commons. 2/ Manchester soup kitchen, mid-19th century, from Wellcome Images (image number L0004800). 3/ Manchester workers’ dwellings, mid-19th century, from Wellcome Images (image number L0004801). 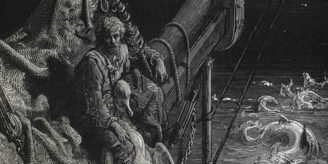 Images made available under Creative Commons licence.